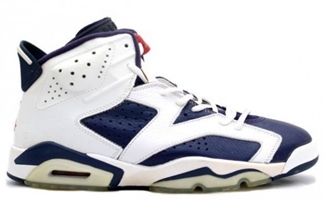 Jordan Brand has been enjoying tremendous success with their retro shoes and they are set to make waves once again with the reported re-release of the Air Jordan 6 “Olympic”. Originally release in 2000 before the Sydney Olympics, Jordan Brand is looking to spice up their lineup in relation to the upcoming 2012 London Olympics with the release of the White/Midnight Navy-Varsity Red colourway of the shoe. Will it be as successful as the original one? Watch out for it! Air Jordan 3 “Grey Flip” Coming Out Soon!